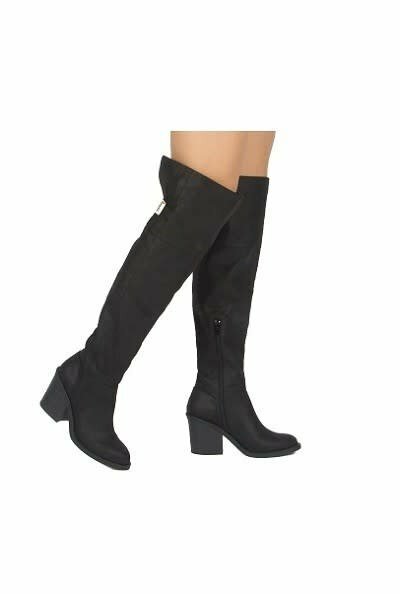 Over the knee black boots with back slit and side buckle detail. Chunky stacked heel and almond toe. Cushioned insole and a partial side zip closure.